In 2015, Maya was featured on The Huffington Post! Maya first performed on Show 4, recorded in September 1999, at age 12. Since, then, she has also performed on Show 56 and Show 201. The October 4 taping will also feature special alumni guest Maya Shankar, 23, a violinist who after appearing on From the Top as a teen was forced to give up music after a chronic hand injury. Today she is a Rhodes Scholar, pursuing a Ph.D. in Experimental Psychology at Oxford, and has regained her ability to play, having recently performed with Joshua Bell at the Academy of Achievement’s 2009 International Achievement Summit in Cape Town, South Africa. 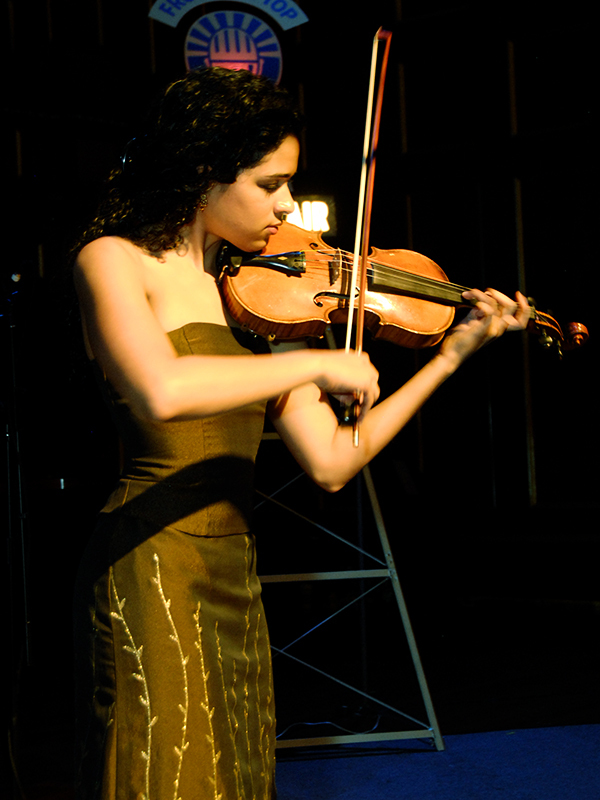 Like many From the Top alumni, the discipline and endurance developed in studying classical music have helped Maya succeed in other areas of her life. Maya’s appearance is part of a series of alumni spotlights that will air over the course of From the Top’s 10th Anniversary Season. She will perform Melody from Orpheus and Eurydice by Christoph von Gluck.